Valencia will host Barcelona in a top-of-the-table clash in La Liga on Sunday evening. Barca have had a superb start to the campaign under new coach Ernesto Valverde and sit top of the table with 34 points from 12 games. 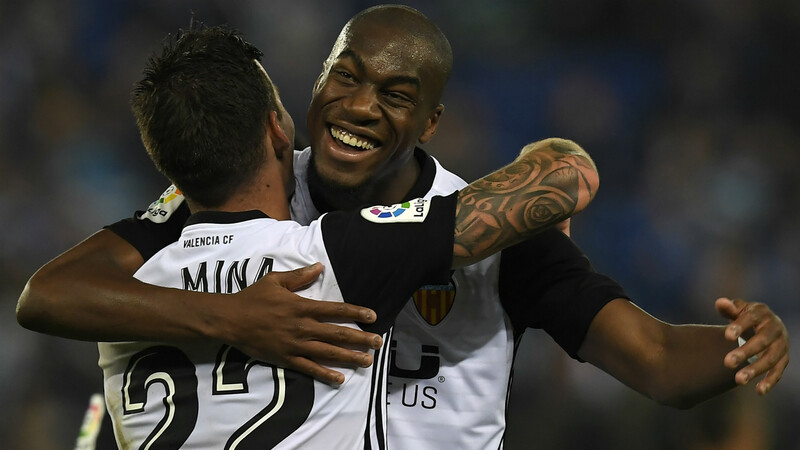 Their closest rivals are not Real Madrid, though, but Valencia, who trail the Blaugrana by four points coming into this meeting at Mestalla. In the UK, the match will be available to watch live on television on Sky Sports Football or by stream via Sky Go. In the US, the match will be available to watch live on television on beIN Sports and by stream via beIN Sports Connect. Simone Zaza is in the Valencia squad but has been struggling with a knee injury. If he is not ready to start, Santi Mina will continue alongside Rodrigo. Defender Jeison Murillo is injured and, though Nemanja Maksimovic has returned to training, he will not feature this weekend. Potential starting XI: Neto; Montoya, Garay, Gabriel, Gaya; Soler, Parejo, Kondogbia, Guedes; Rodrigo, Zaza. Barcelona have a lengthy list of absentees - most notably in defence, where Gerard Pique's suspension and Javier Mascherano's injury leave Thomas Vermaelen in line for a rare start. Ousmane Dembele, Sergi Roberto, Andre Gomes and Rafinha remain out - though Gomes and Roberto have trained - and Arda Turan may not feature due to a dental issue. Potential starting XI: Ter Stegen; Semedo, Umtiti, Vermaelen, Alba; Rakitic, Busquets, Iniesta; Messi; Suarez, Alcacer. Barcelona are 5/6 favourites to win, according to dabblebet, with Valencia priced at 16/5 and the draw available at 14/5. It has been a good week for Lionel Messi. 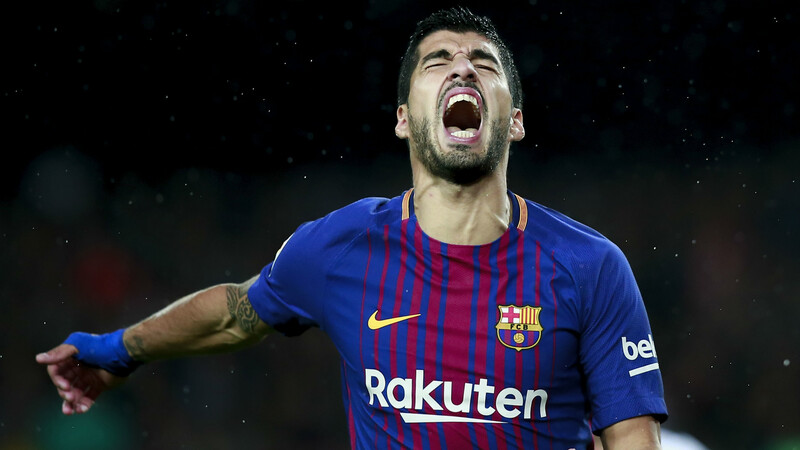 A day after receiving the European Golden Shoe as the continent's top goalscorer in a major league in 2016-17 on Friday, the Argentine finally signed a new contract - which will run until 2021- with Barcelona a day later. That makes it an even better week for Barca, of course, who found themselves seven months away from losing arguably the greatest player of all time on a free transfer. His renewal will be a weight off both Josep Maria Bartomeu and Ernesto Valverde's shoulders, with the coach building around Messi's talents even more heavily than some of his predecessors following the departure of Neymar. And beyond this season it will give them the clarity they need when it comes to building a new supporting cast for Messi as the core of Luis Enrique's treble-winning side ages. 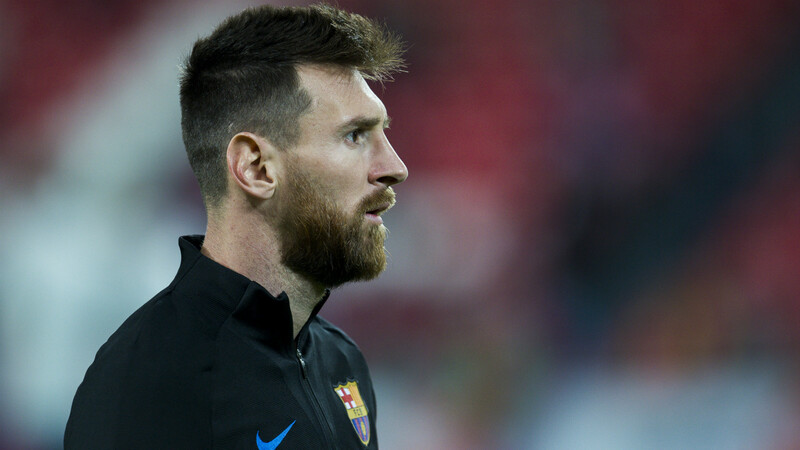 It is fitting that the latest era of Messi at Barca will begin with the kind of top-of-the-table, high-stakes clash that the 30-year-old has so famously made his specialty.